Q. What is the difference between a co-op and a condominium community? A. When you purchase a co-op, you become a shareowner in the 2077 Tenants Corporation, obtaining the number of shares assigned to the dwelling unit you are purchasing. 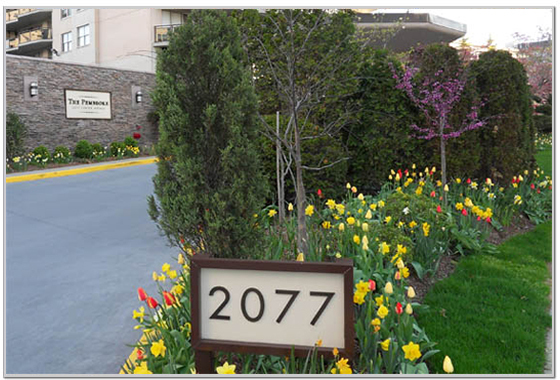 In turn, 2077 Tenants Corp. provides you with a Proprietary Lease for your apartment. Sales and purchase of condominiums involve a transfer of a deed from seller to buyer. Q. What is a “Proprietary Lease"? Q. Is there an advantage to owning a co-op or condo? A. It depends on the purchaser’s preference. Since they are owners of their units, condo owners generally are liable for more expenses than co-op owners, who share the cost of maintenance, taxes and operating expenses for common areas among shareowners. Purchasers of Co-Op apartments must meet admissions standards established by the Co-Op Board of Directors whereas condo owners are usually free to rent or sell to anyone. Condominiums tend to be more expensive than co-ops, although monthly maintenance is usually lower because of a lower level of basic maintenance service provided by condo associations as compared with cooperatives like The Pembroke. Co-op and condominium owners enjoy essentially the same tax breaks as home owners. Q. Do I need approval to purchase an apartment at The Pembroke? A. Yes. Our admissions committee reviews all applications to ensure prospective tenant-owners meet our guidelines for financial qualification, including ability to pay monthly carrying charges (maintenance, fees and assessments) and mortgage obligations. We do not discriminate on the basis of marital status, religion, race, national origin or sexual orientation. Q. How is The Pembroke governed? A. The Pembroke bylaws establish a Board of Directors consisting of seven members who serve overlapping 3-year terms. Annual elections are conducted in May. A. Under special circumstances shareowners who have lived in The Pembroke for a minimum of two years may sublet their unit. Q. What about renting my apartment to a family member? A. The Pembroke Proprietary Lease, which will be provided to you upon application, covers all terms and rules for occupancy. Q. How do I find out about current vacancies? Q. How much does the typical apartment cost? A. Unit prices range in price according to number of bedrooms, exposure, floor and market fluctuations. But you can be certain that with the available amenities, prices will be lower per square foot as compared with Manhattan luxury co-ops. Q. Do you permit dogs? A. Yes, household pets are allowed under conditions established by the Board of Directors, including weight limitation up to 50 lbs. and payment of an application fee and monthly privilege fee. Q. What is included in the maintenance fee? A. The maintenance fee for each apartment unit comprises the prorated share of operational expenses like shared gas and water utility charges, staff salaries and benefits, property taxes, mortgage interest and insurance required to be raised annually. In addition it includes a mandatory charge for cable TV service which represents a bulk discount from basic service rates. Optional charges include fees for parking, pets and storage. Additionally, from time to time the Board may impose special assessments.